Your gums are important to the health of your teeth. Surprisingly enough, not many people pay attention to them. Your local dentist pays very close attention to your gums because they are able to tell a story. The state of your gums tells your dentist how well you care for your teeth and the overall health of your mouth. If one gum is discolored, it is an automatic clue that something is seriously wrong with the tooth. At Joshua Colkmire, we inspect each of your gums in order to give you fast and precise diagnosis for your teeth. By finding out what is causing the gum to discolor, we are able to confirm the problem with your teeth and more closer to finding a solution. If you are interested in a local dentist to care for your oral health, Joshua Colkmire is located in Sarasota, FL. Schedule an appointment today to get a check-up on the health of your gums and teeth. The state of your gums is vital to your oral health. But, since no one seems to think about their gums, there is an all-time high of gum disease going on in America. Today, 80 percent of adults have some level of gingivitis and periodontal disease. This is largely due to the fact that people neglect their gums and ignore the warning signs of growing disease. Gum disease is not something that you want to ignore. If gum disease is allowed to worsen, it can contribute to a stroke and even heart disease. Though your mouth is typically an afterthought, it is still connected to the other parts of your body; if one system is negatively affected, the rest will follow. If you do not treat your gum disease, some of the consequences can be severe. Not treating your gum disease could lead to not only losing your teeth, but losing bone tissue in the jaw as well. So? What is gum disease? Gum disease occurs when the gum tissue in your mouth becomes infected with bacteria. Because it is infected the areas can become inflamed, swollen, and even bleed. Unnecessary bleeding is a serious warning sign that something about your gums is just not right. Your dentist will be able to tell almost immediately if your gums are infected by observing the color and position of your gums. When infected with bacteria, your gums will also recede from your teeth and can appear to have a deeper reddish color to them. Gingivitis is a moderate form of gum disease, yet still needs to be treated. It typically occurs when there is a buildup of plaque in your mouth which eventually turns to tartar. This tartar creates a plethora of issues, one of them being that it can generate swarms of bad bacteria that can rot your teeth. Your mouth naturally has plenty of bacteria; however, having too much bacteria in your mouth can be a very bad thing and can contribute to gum disease. If you aren’t brushing your teeth regularly, the bacteria in your mouth can flourish and eventually can overpopulate your mouth. When this occurs, gingivitis is able to develop. Luckily, if you are diagnosed with gingivitis early on, you can reverse some of the symptoms with good dental hygiene. It is true that if you do not care for your gingivitis and let the disease progress, you will need gum surgery to remove the rotted tissue and tooth. This is by far the more serious disease of the two and affects over 64 million American adults. The older you age, the more likely you are to develop periodontal disease, sometimes called periodontitis. This disease occurs when the structures around your teeth are infected. Unlike gingivitis, periodontal disease can infect all of the surrounding parts of your tooth, including the inner tissues. This disease typically occurs when the tooth becomes infected with bacteria and it not regularly cleaned. If you allow your periodontal disease to go on untreated, it could lead to tooth and jawbone loss. Also, you could suffer from other symptoms such as a stroke, diabetes, respiratory disease, and heart disease. Because periodontal disease is linked with so many other health issues, it is the more serious of gum diseases. Since many of the patients who develop periodontal disease are older in age, they are less likely to recover from major health issues. Because of this, if you are older than 65, you should be constantly vigilant to brush your teeth regularly and get your teeth checked by a dental professional. The best way to prevent the onset of periodontal disease is by brushing and flossing regularly. If you don’t take care of your teeth, bacteria will multiply and lead to the development of the disease. At Joshua Colkmire, you can receive incredible dental care. With one visit, our staff can confirm the overall health of your teeth and advise you on how to improve your dental hygiene. 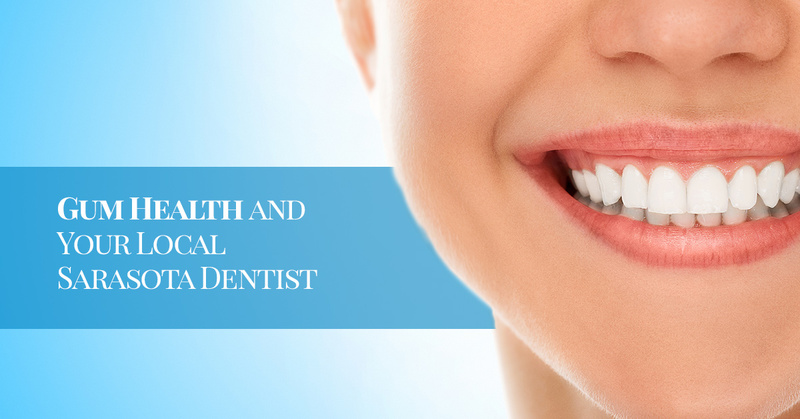 Through careful planning with your dentist, you can make your way to having excellent, healthy teeth. Even if you currently have gum disease, you can be treated with proper dental care. Contact our practice today and schedule an appointment today. With our help, you can protect yourself from developing gum disease and any of its symptoms.